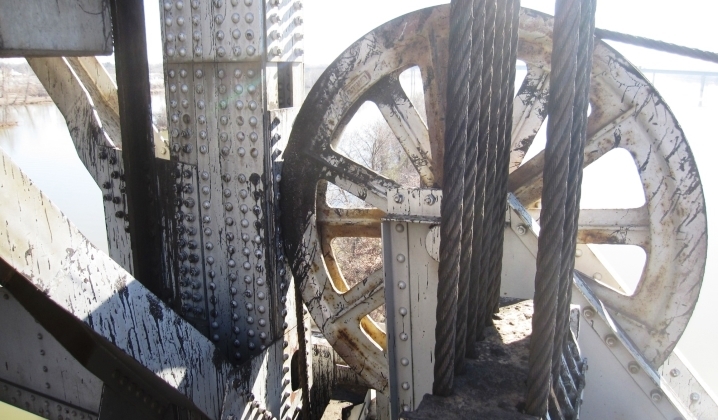 Emergency Cable Repairs over the Arkansas River | OCCI, Inc.
OCCI provided emergency response to lower the 450′ lift span after the haul ropes failed, leaving the span in a partially raised position. 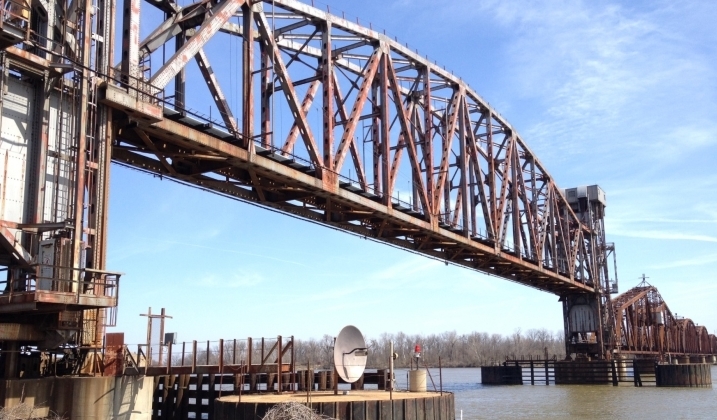 OCCI was able to get the span lowered and allowed train traffic to pass after 12 hours on site. 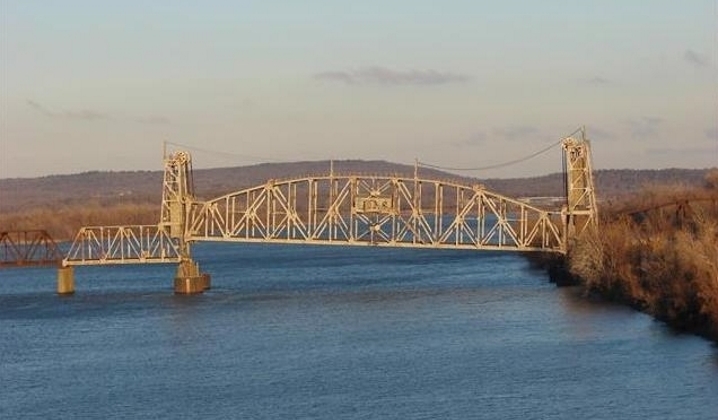 The span was repaired and allowed to raise within 24 hours of OCCI response time. Related work included replacement of all up haul and down haul wire ropes, balancing and tensioning of all wire ropes, installation of new uphaul tower sheave, inspection and lubrication of all lift span operating equipment, jacking of span and heat straightening of various steel members.